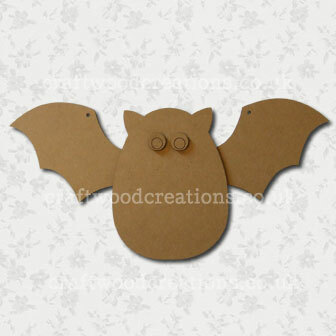 3D Mdf Bat, made from 2.5mm preminum grade MDF. Supplied flat, requires assembly. Supplied with mdf eyes. Samples made with Wobbly eyes, not supplied.